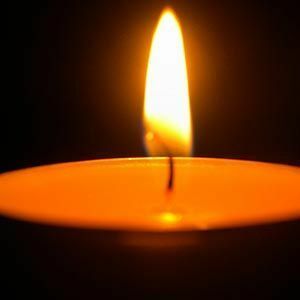 CENTRAL CITY - Melvin Ray Kyle, Sr., 84, of Central City, died Monday, January 14, 2019, at 12:37AM at his daughter's residence in Central City. Mr. Kyle was born April 10, 1934, in Muhlenberg County. He was owner of M.K. Floor Covering, and of the Baptist faith. He was preceded in death by his wife, Nancy Atterberry Kyle; daughters Kathy Kidd and Vicki Bouknight; step-daughter Kimela Gary; and parents James and Pearl Kyle. He is survived by his sons, Melvin Ray Kyle Jr. and Roy Kyle; daughters Anita Giordano, Tina Price, Lori Pshak, and Audrey Higgs; step-daughters Roxanna Gary and Yolanda Gonzales; 27 grandchildren; 46 great-grandchildren; and sisters Ruby Klein and Maxie Deering. Memorial services will be held on Saturday, January 19, 2019, at 1:00PM at South Carrollton Community Center. Burial is private. Tucker Funeral Home is in charge of arrangements. Online condolences may be made at www.tuckerfuneralhomes.com. Create An Online Memorial For Melvin Ray Kyle, Sr. Loved you dearly Uncle Melvin and so many great memories when we visited you and your family in Central City. You hold a special place in Mom's, Ruby, heart and she will miss you always. She still talks about the times/memories you all had in Cleaton. Prayers to all of the family. From memories of his motorcycle racing days at the Rochester track to the carpet business in Central City we all will remember you well Unxle Melvin from the Hutcheson kids . ray and roy, so sorry about your father. prayers for you all. We are sorry to hear of Melvins passing, we will be praying for your family. Melvin was a dear friend who we have had lots of good times with.